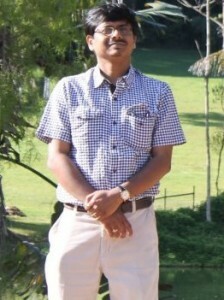 Dr. Saugata Datta was promoted this year to Professor of Hydrogeology and Geochemistry. Saugata joined K-State Geology in 2008 and was promoted to Associate Professor with tenure in 2012. His research interests are varied, but in recent years he has focused on issues of water resources, water availability in Kansas and understanding the cycling of different metals in our groundwater, soils, and sediments, as well as how land use pattern changes affect the distribution of such metals in our environments. Saugata’s work has taken him and his students all over the world, including Bangladesh, India, Argentina, Mexico, and Sweden, but also to a number of states in the U.S. Through his work, which has been supported through highly competitive research grants from funders such as NASA, Department of Energy, National Science Foundation and the Environmental Protection Agency, he has tried to understand the source, recycling and transport of toxic or essential elements and their chemistry and hydrology and relate them to human health. Among other synergistic activities, Saugata is currently serving as the Chair of the Geology and Health Division of Geological Society of America. Along with research, Datta has been involved in teaching and mentoring multiple graduate and undergraduate students and developed courses for students at K-State, high school-community teaching in Manhattan and Olathe, and schools in Mexico, India and Argentina. 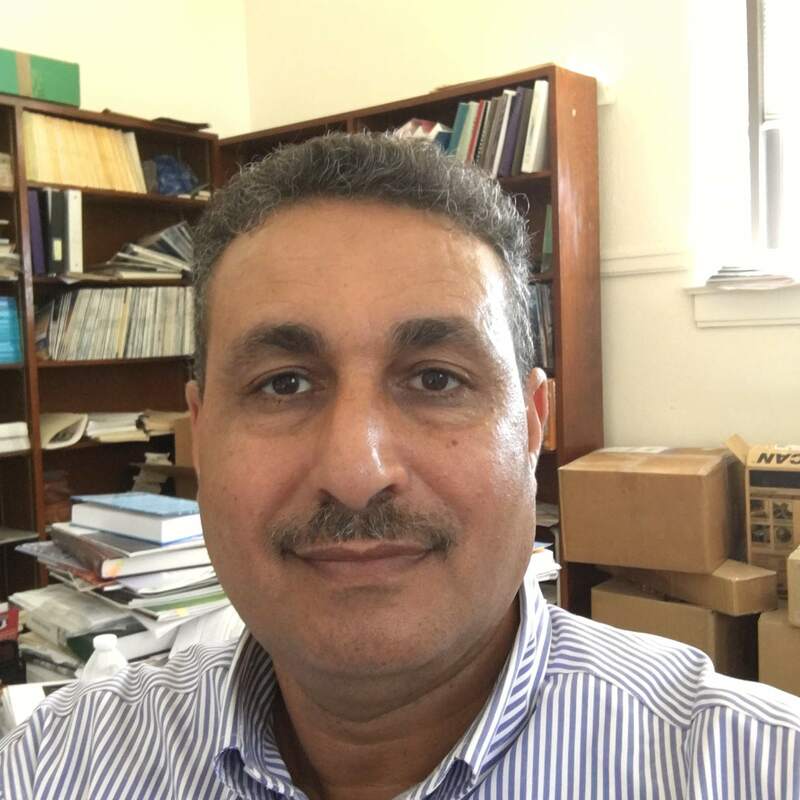 Dr. Abdelmoneam “Raef” Raef was promoted this year to Associate Professor with tenure. Dr. Raef joined the department in 2008 as a geophysicist and established a number of new graduate and undergraduate level courses in geophysics soon thereafter. In order to help improve on hydrocarbon exploration and development in Kansas, Raef’s research has focused mainly on developing the application of seismic reflection methods to reservoir characterization. His research in this area has resulted in unprecedented imaging and characterization of palaeo-channel reservoir rock formations in south and central Kansas. Several industry collaborators, and a number of graduate students as well as Department of Energy (DOE) and Kansas Geological Survey, have been the main beneficiaries of and collaborators on this research. A second theme of Raef’s research is in the area of seismic site classification (National Earthquake Hazard Reduction Program, NEHRP) and laboratory rock-physics. His research on active source surface seismic waves techniques and integration of laboratory rock-physics enjoyed the interest and funding of Kansas Department of Transportation (KDOT) and international research collaborators in Egypt and Oman. Raef jointly supervised and mentored the K-State Geology student team that won a third place medal at the regional Imperial Barrel Award competition of the American Association of Petroleum Geologists AAPG in Spring 2015. We would also like to recognize Dr. Alan Archer, who retired in December, 2015, after 27 years of service to the Department of Geology and Kansas State University. Allen received a Bachelor of Science degree from Oregon State University in 1976 and a Master’s of Science degree from Indiana University in 1979. He earned his PhD in 1983, also from Indiana University. Dr. Archer was hired as an Assistant Professor at Kansas State University in 1989 and was promoted to Associate Professor in 1996. Allen’s passion for the sedimentary processes that shaped Earth’s surface captured the imaginations of his students, both majors and non-majors alike, and he has contributed markedly to the teaching mission of the department and the college. He is recognized internationally among researchers for his work on modern and ancient hypertidal depositional systems.